Juan Hernangomez saved the Denver Nuggets' win over the Golden State Warriors in the NBA on Sunday. Golden State had the ball for the final possession trailing by two points. Stephen Curry dribbled the length of the floor, drew two Denver defenders and dished the ball off to Damian Jones, who had a chance to lay the ball up to tie the score as time expired. 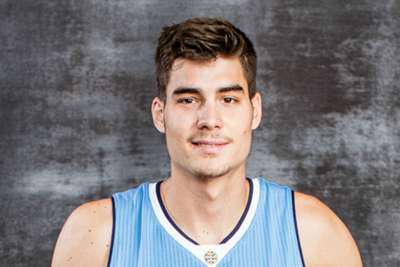 Hernangomez, however, blocked Jones from behind to secure a 100-98 Nuggets victory. Draymond Green had a chance to even the score with 9.6 seconds left but made just one of his two free throw attempts. Jamal Murray then split a pair of foul shots on the other end before Hernangomez's game-saving play. Gary Harris scored a team-high 28 points for the Nuggets. Curry tallied 30 points and made six of his 16 three-point attempts in the losing effort.